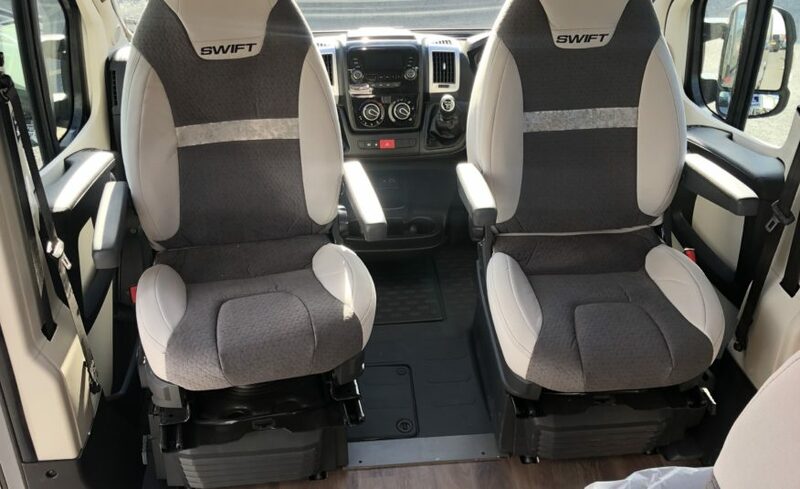 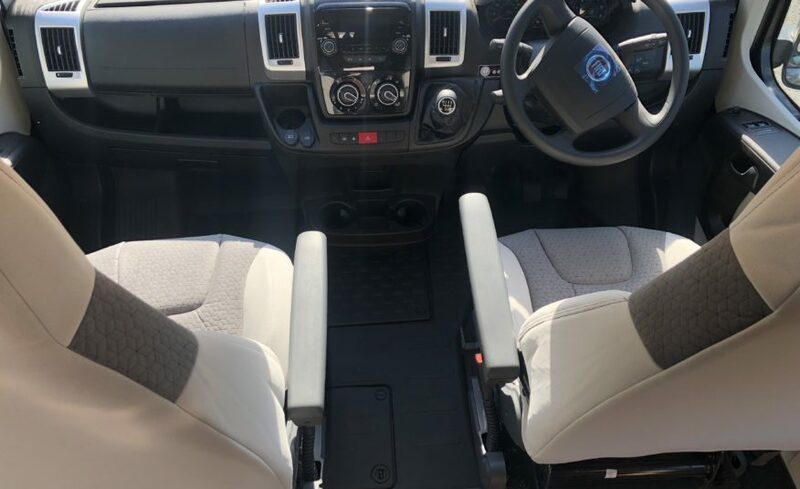 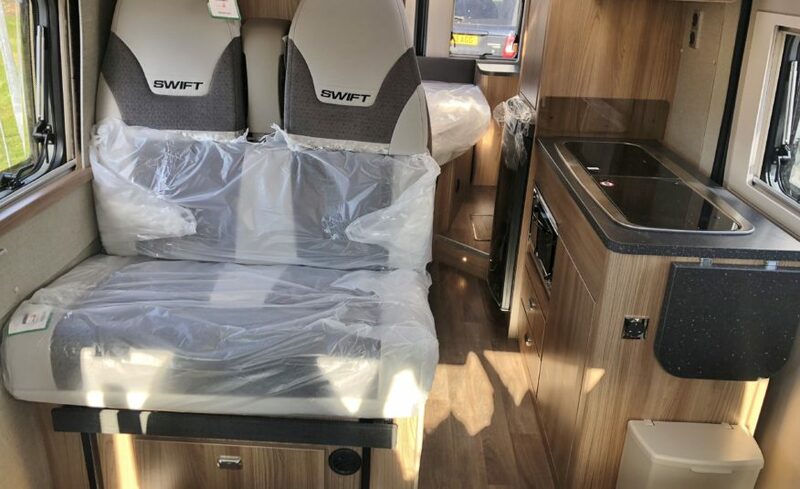 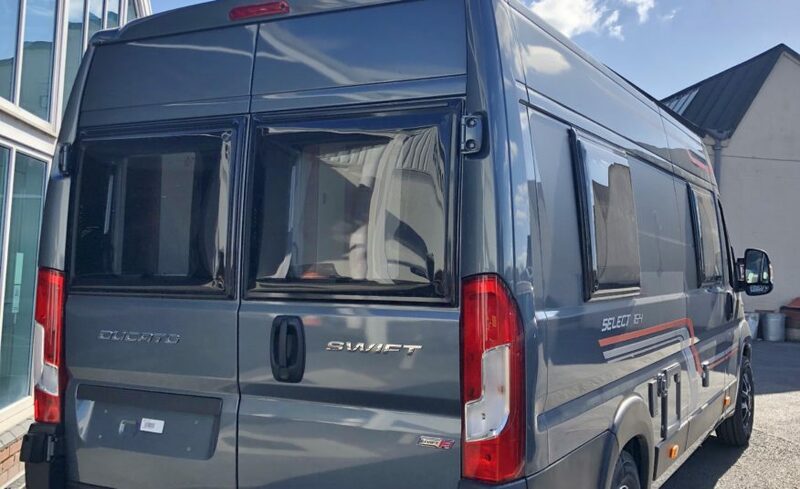 The Select 164 offers a front dinette with two travelling seats which can be converted into an occasional single bed that could sleep 2 small children. 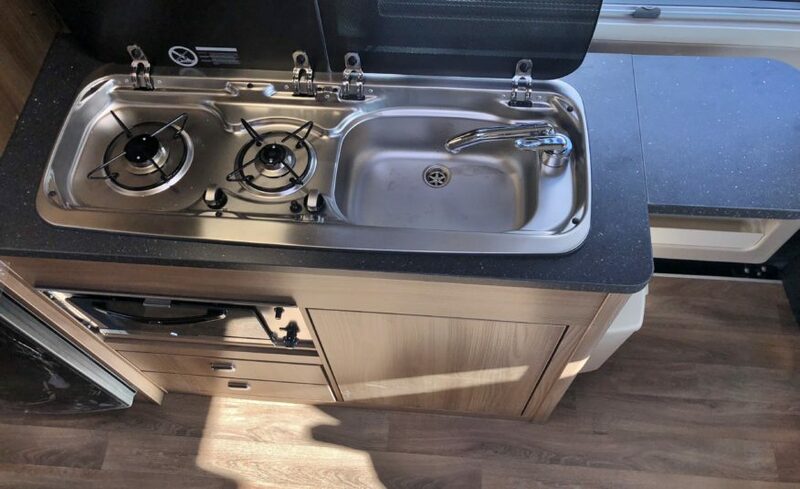 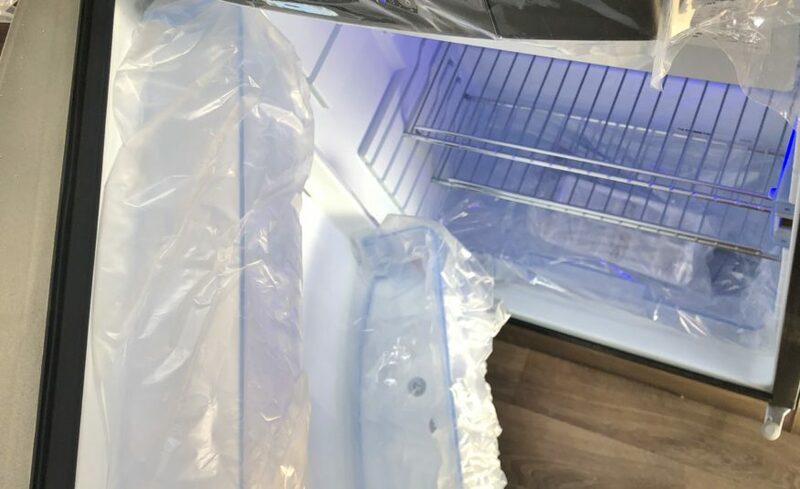 The kitchen is central, equipped with 2 burner gas hob & stainless steel sink combi unit both with glass covers, grill, fridge/freezer & storage areas. 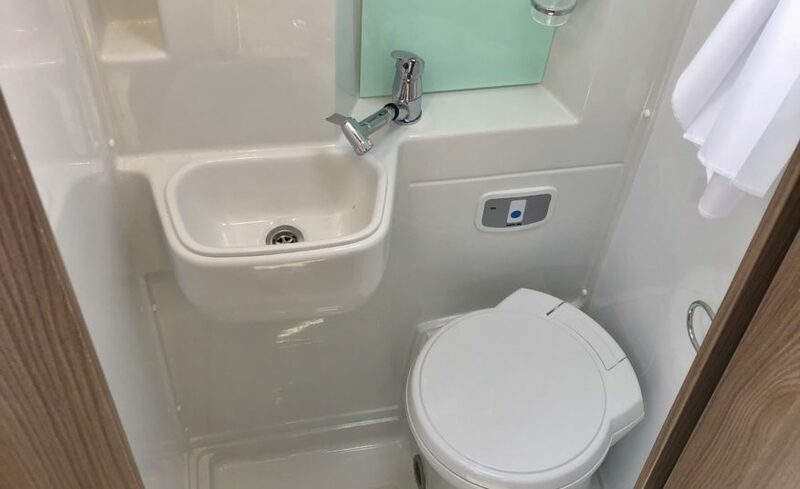 Opposite is the washroom, with mirrored vanity cupboard & fixed washbasin, shower mixer with retainer, toilet with electric flush & roof-light with flyscreen. 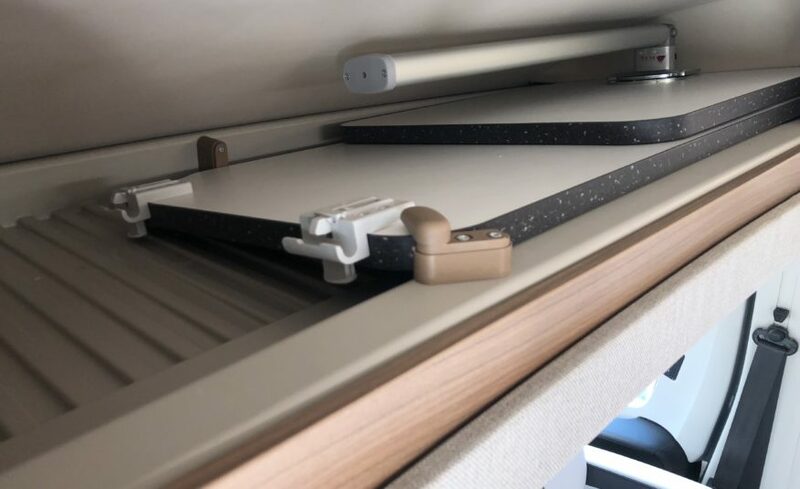 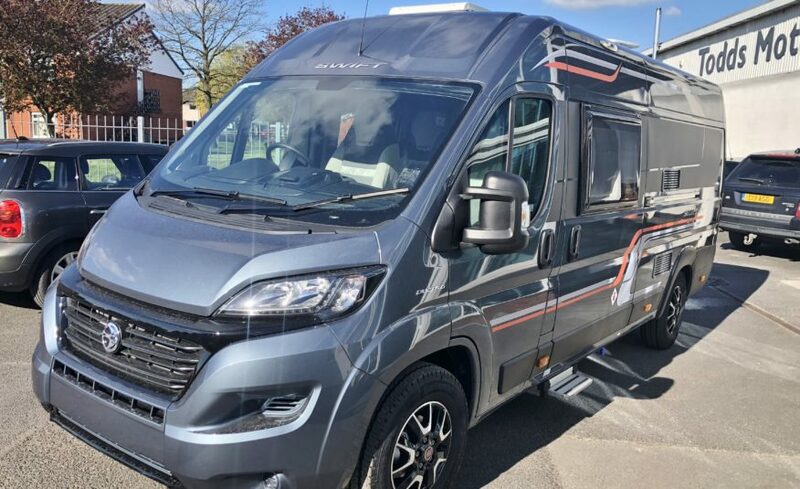 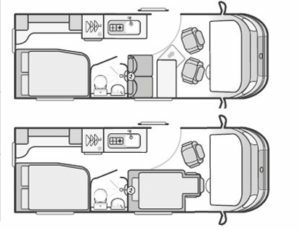 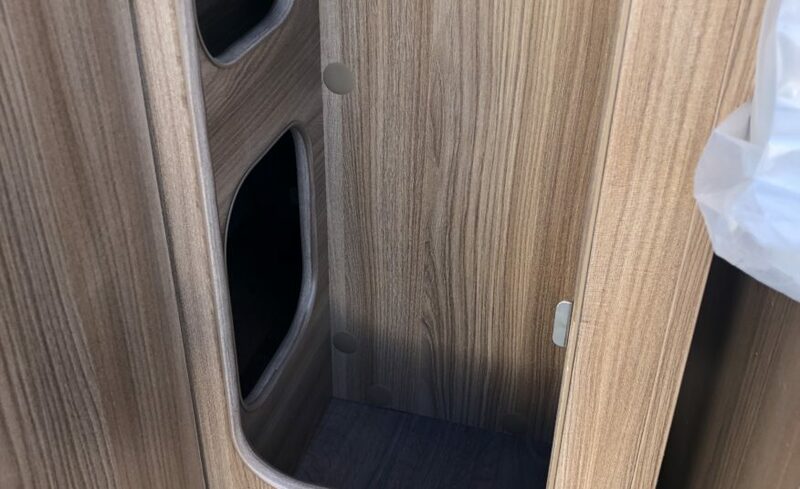 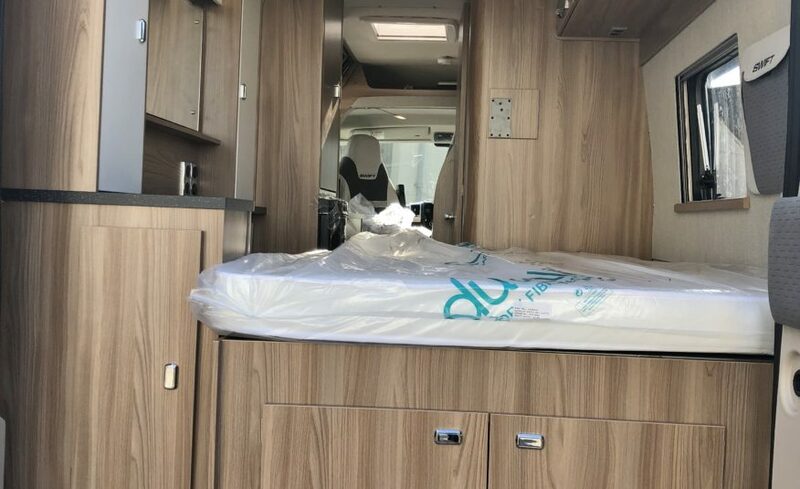 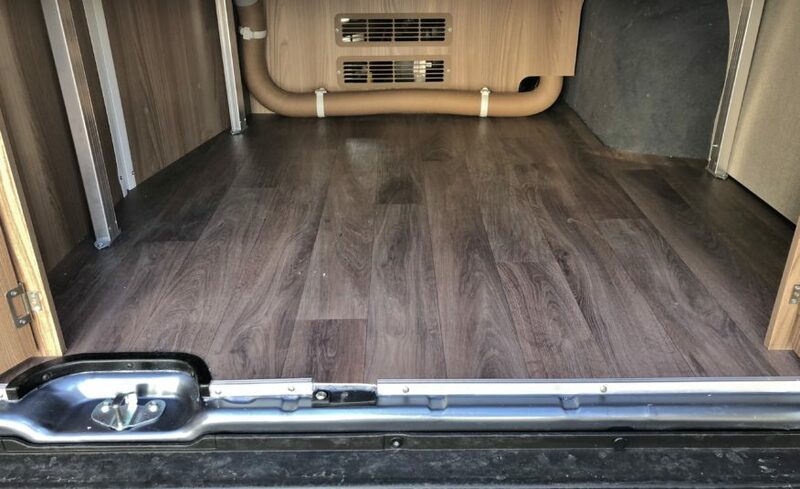 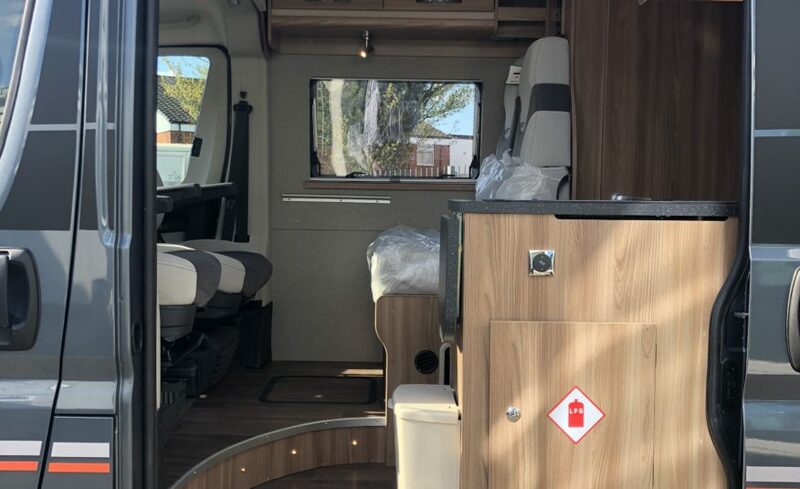 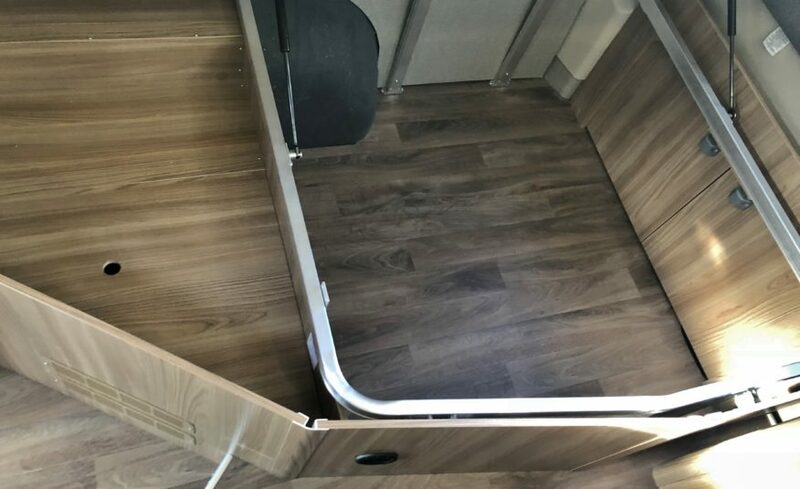 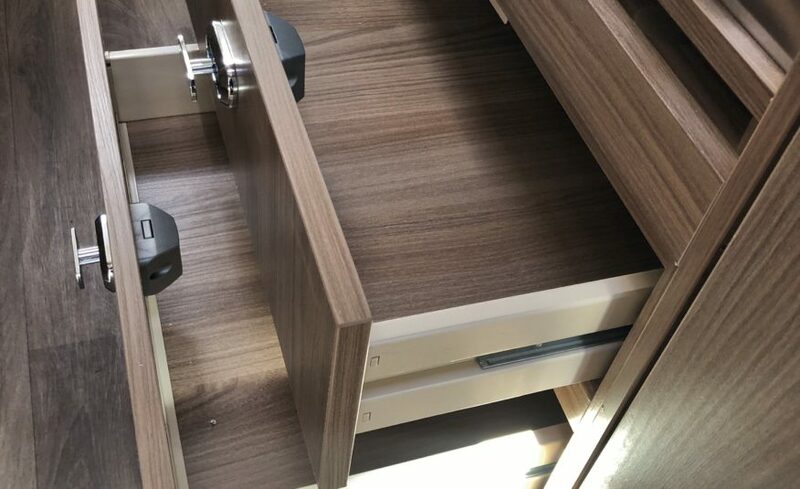 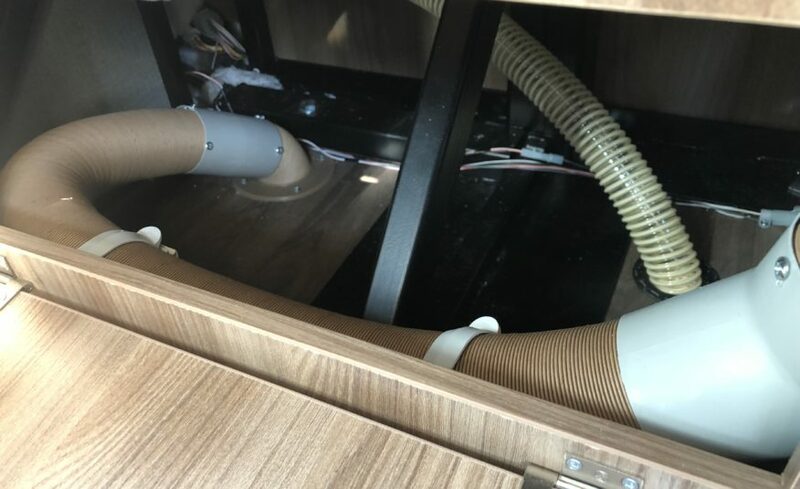 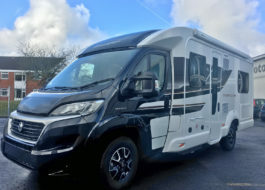 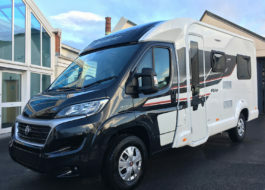 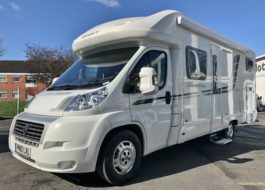 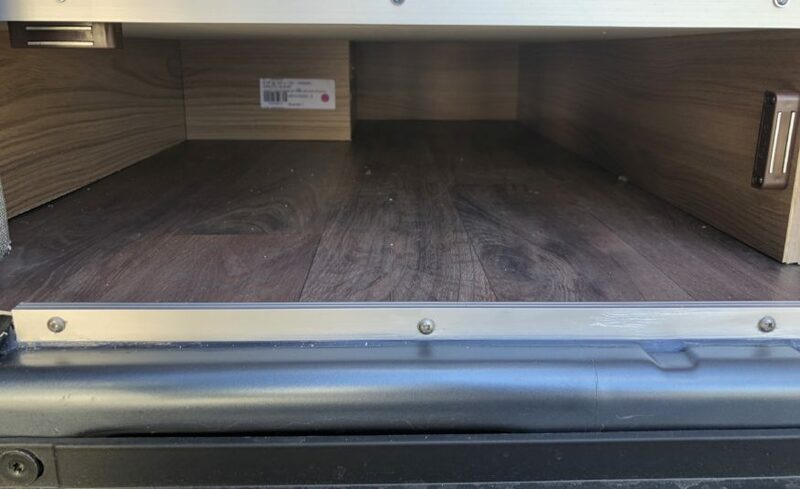 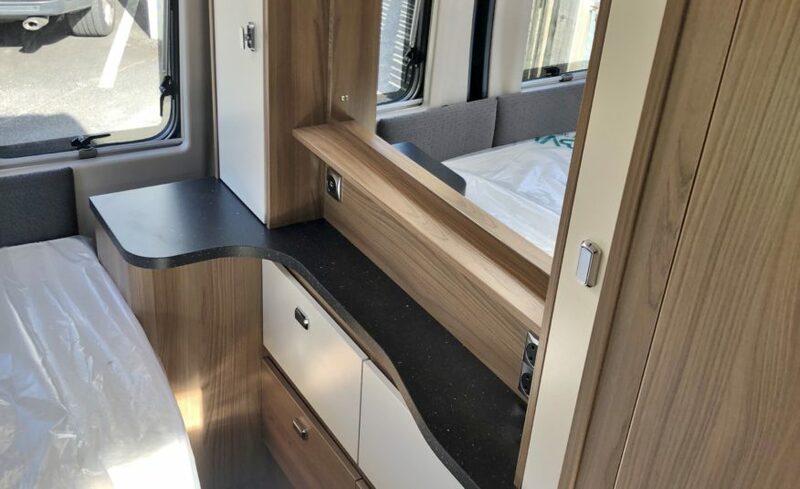 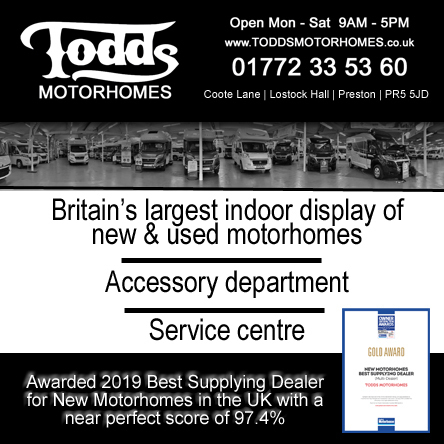 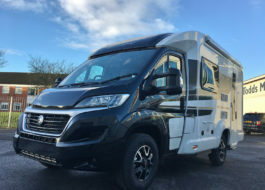 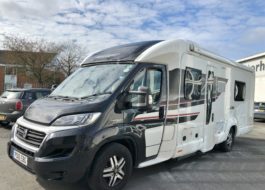 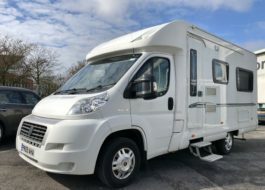 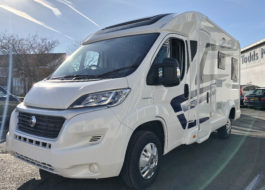 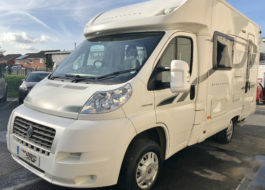 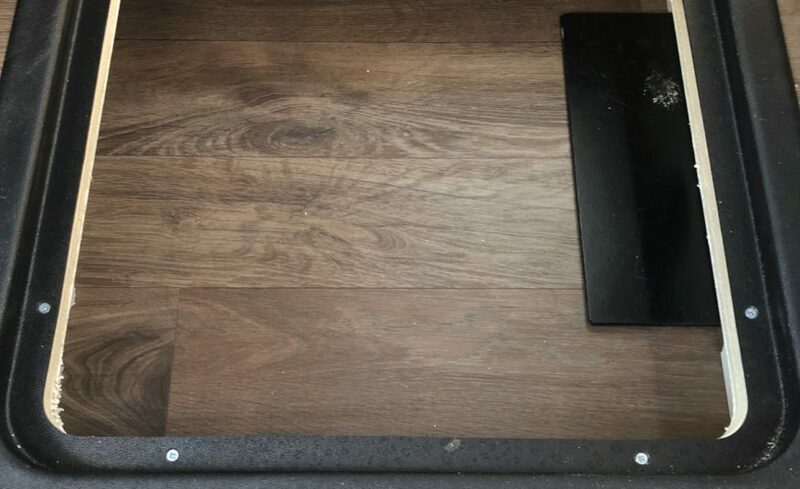 The 164 adopts the most popular of coachbuilt motorhome layouts with a rear longitudinal fixed bed which has ample storage below & dressing/drawer unit to the side. 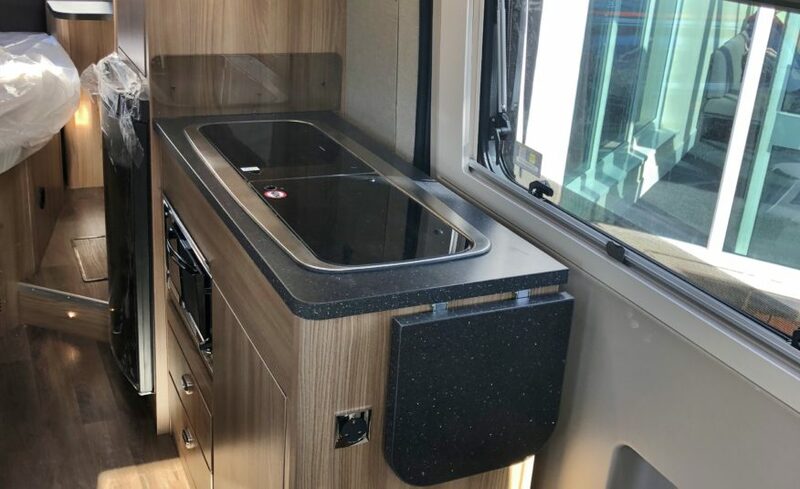 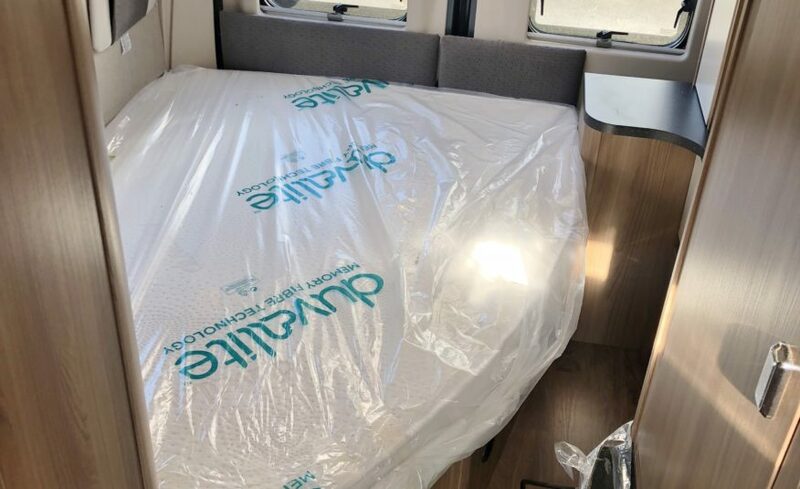 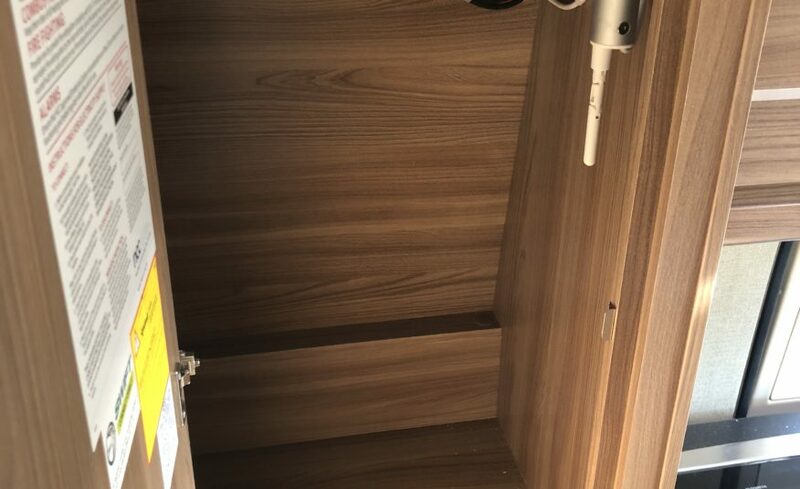 Overall Length: 6.36m / 20' 11"
Overall Width (mirrors folded): 2.26m / 7' 5"
Overall Height: 2.72m / 8' 11"
Front dinette (converts into a single bed) - central kitchen & washroom - rear fixed bed (large storage below) & dresser.